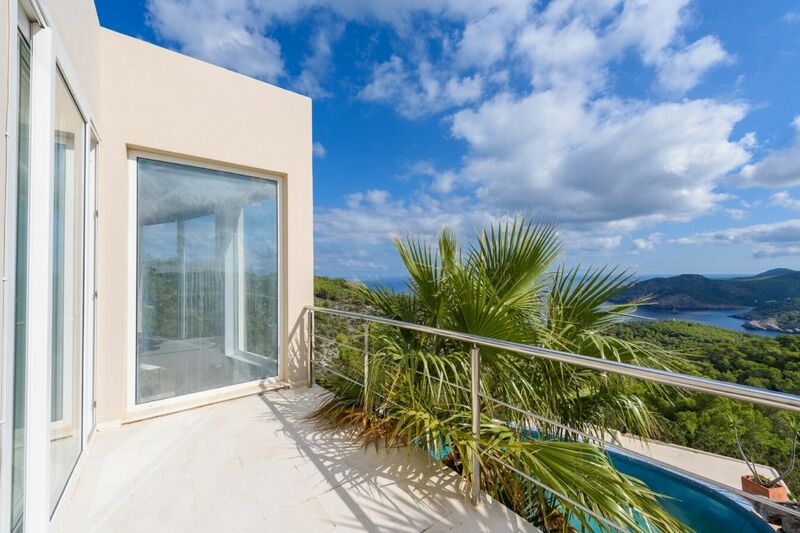 Astonishing and peaceful hillside villa with spectacular views to bay of Benirras It is a two floor modern 345 sqm house surrounded by its own private 3,400 sqm Mediterranean garden. 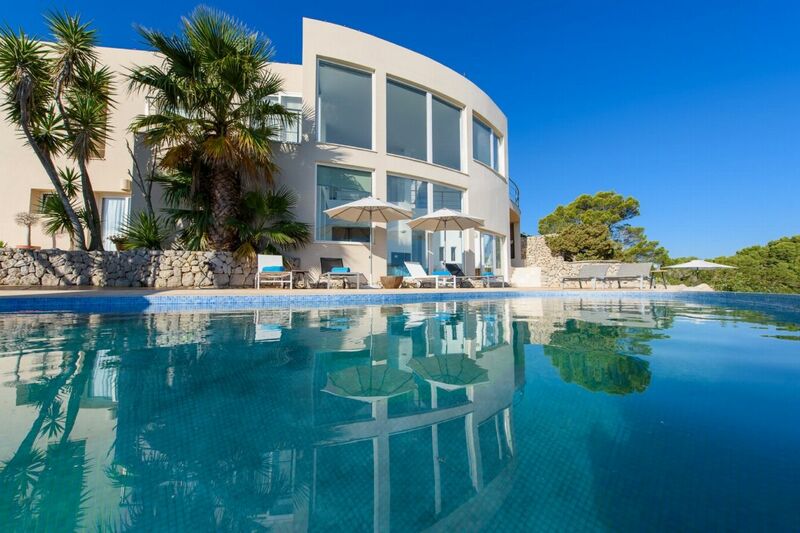 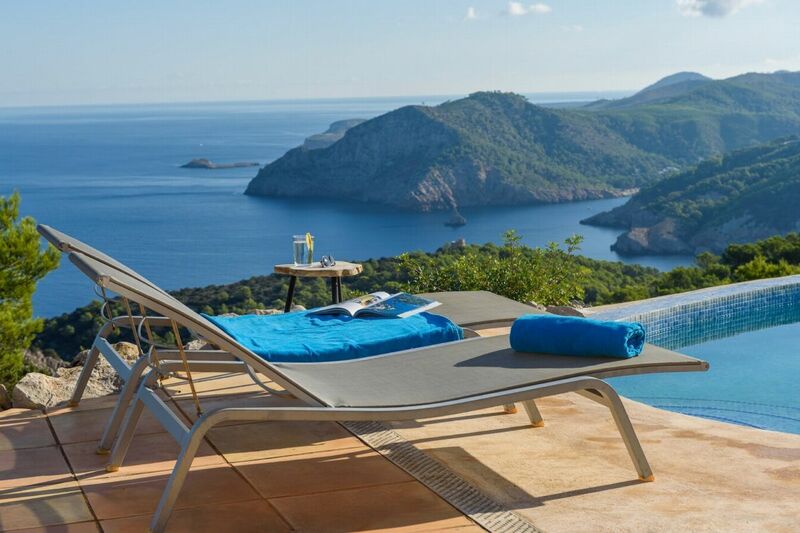 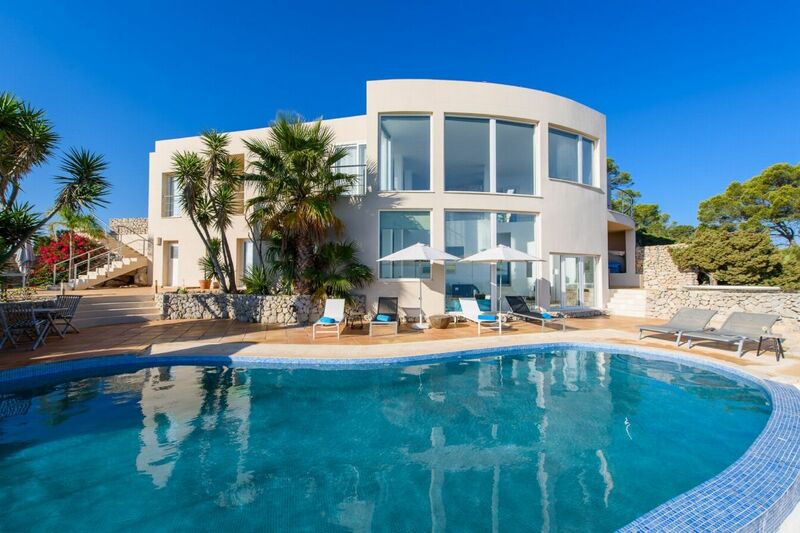 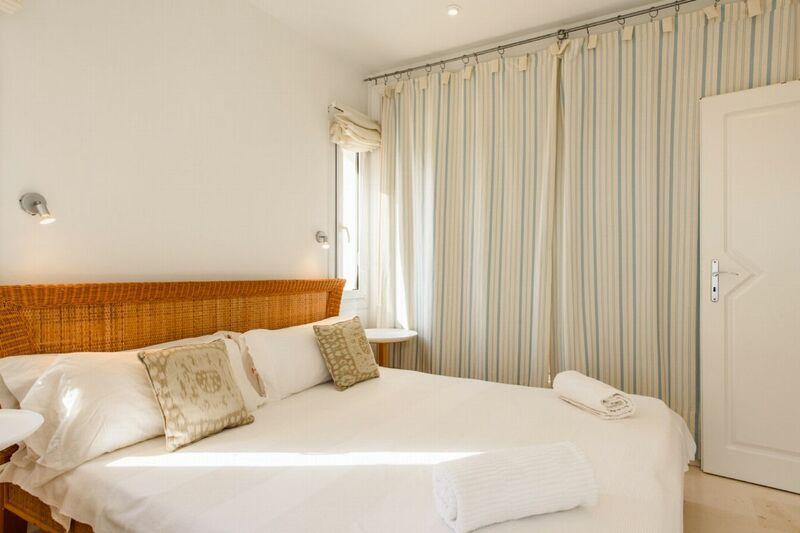 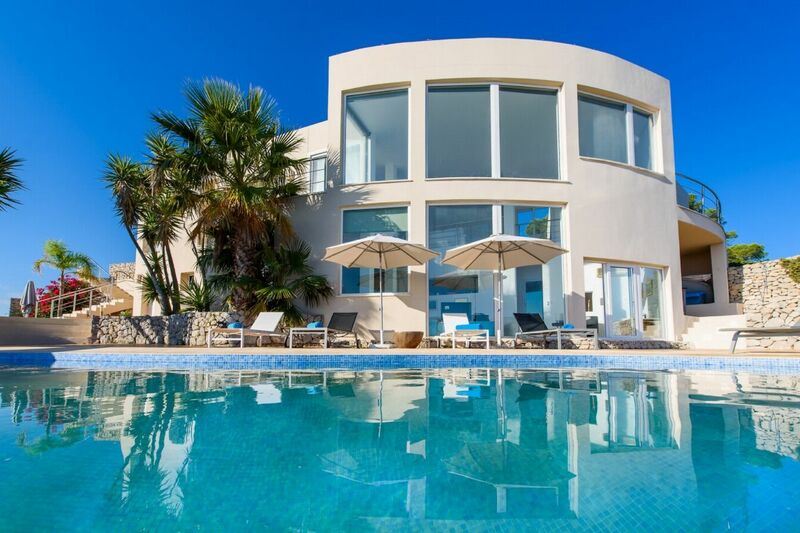 Villa Xamena is located on the north west coast of Ibiza, some 300m away from the luxury hotel La Hacienda, in the San Miguel village area, a 25 minute drive from Ibiza town and 40 minutes from Ibiza airport. 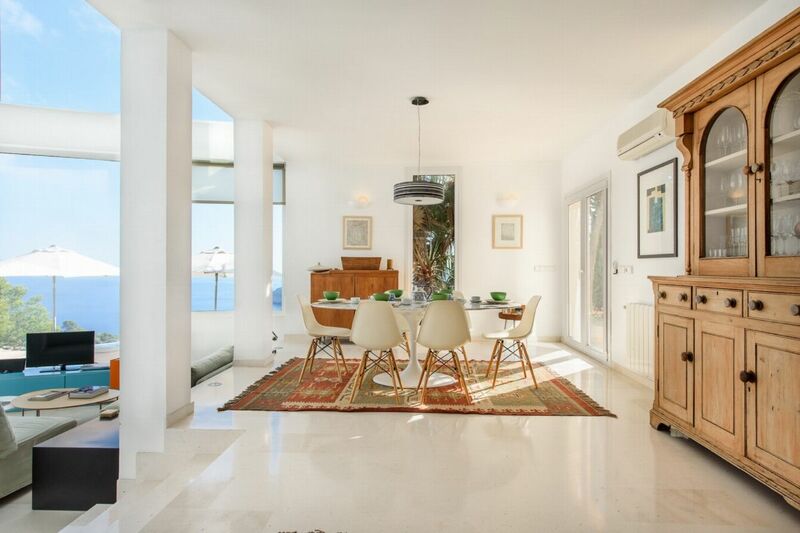 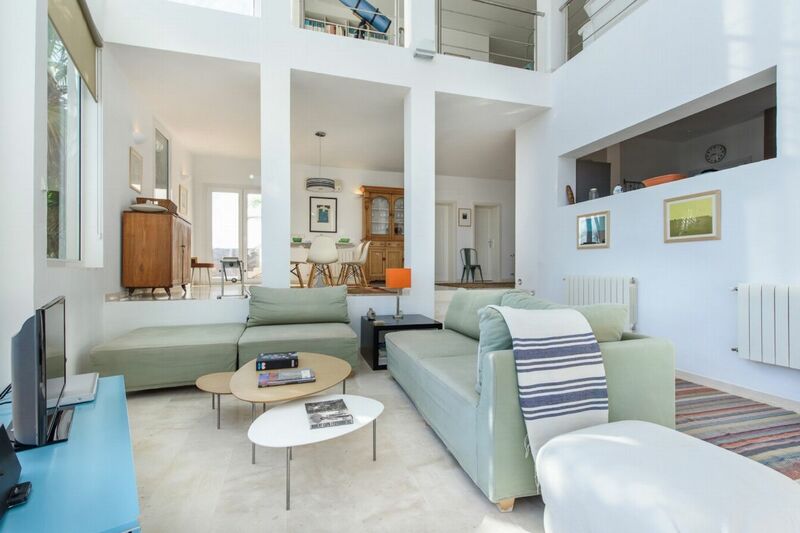 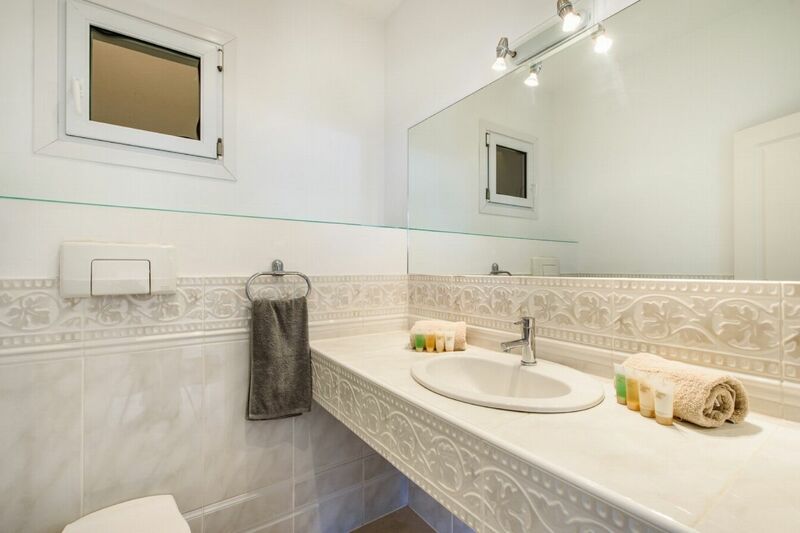 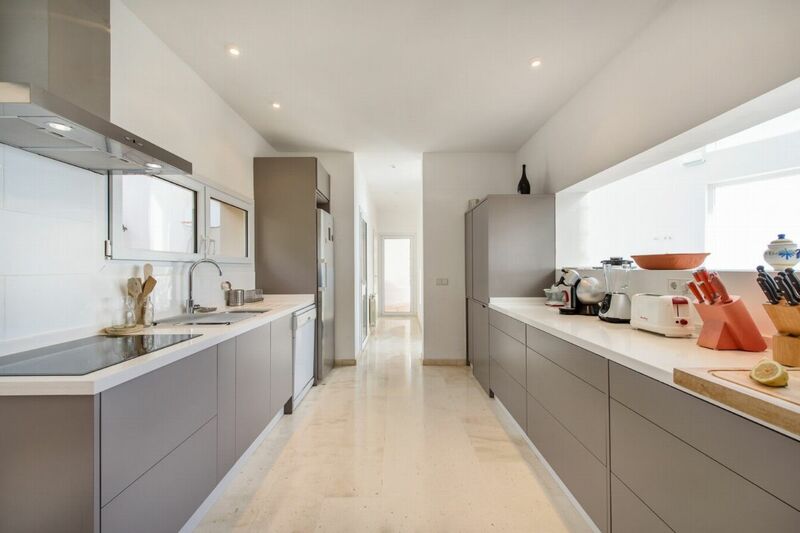 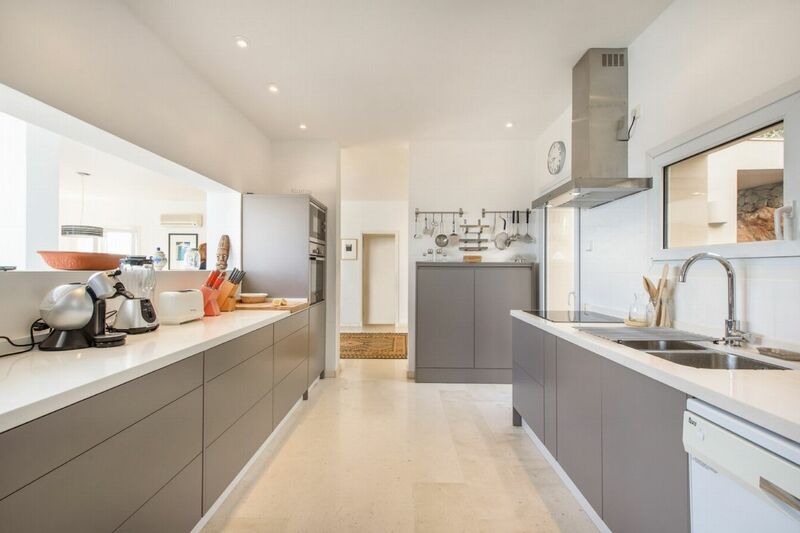 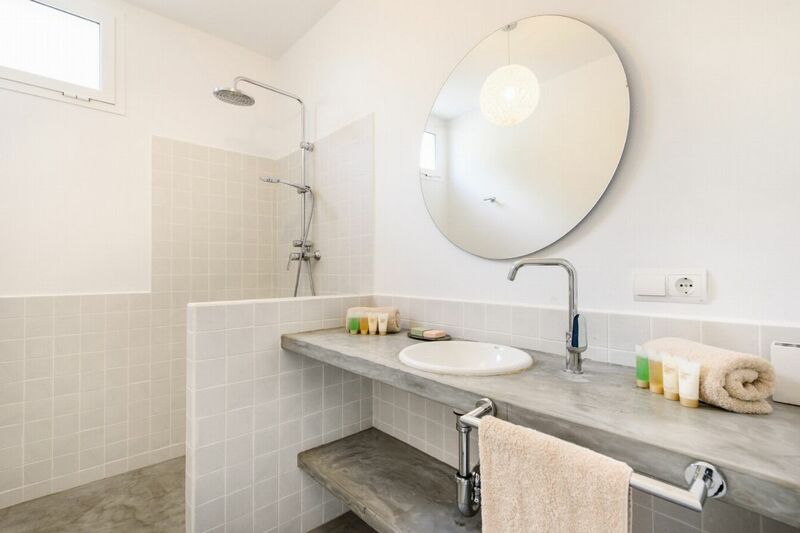 It is a two floor modern 345 sqm house surrounded by its own private 3,400 sqm Mediterranean garden. 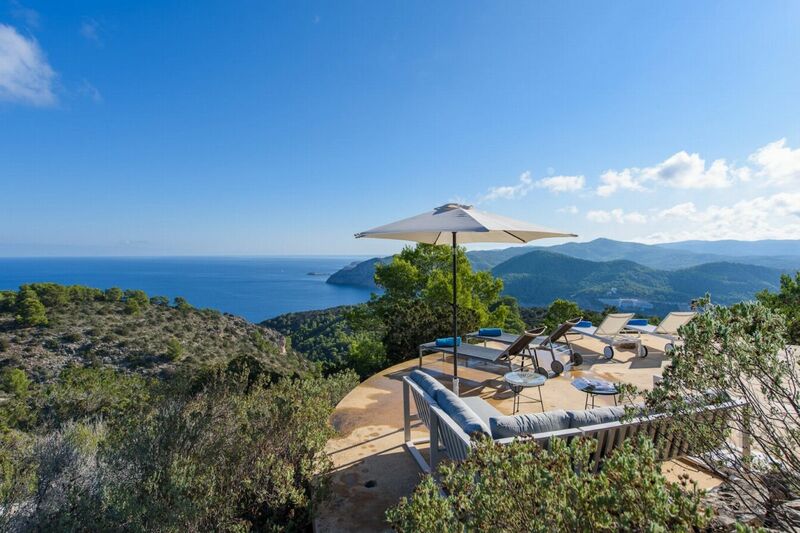 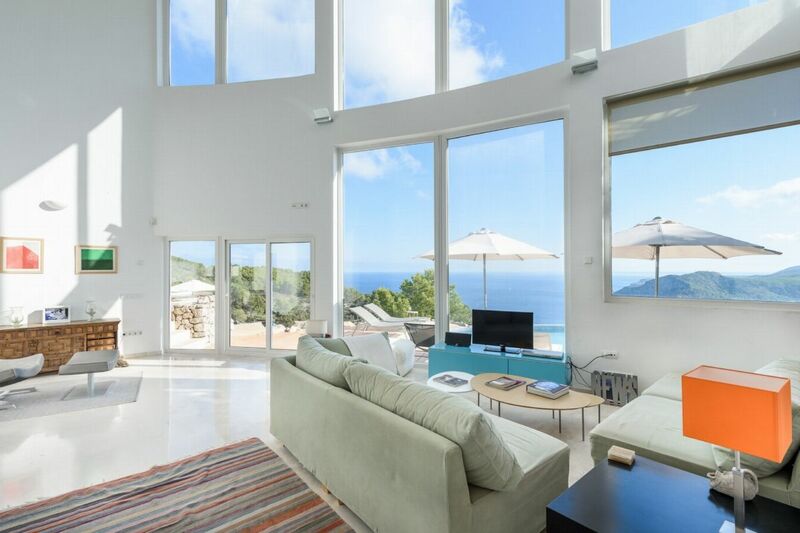 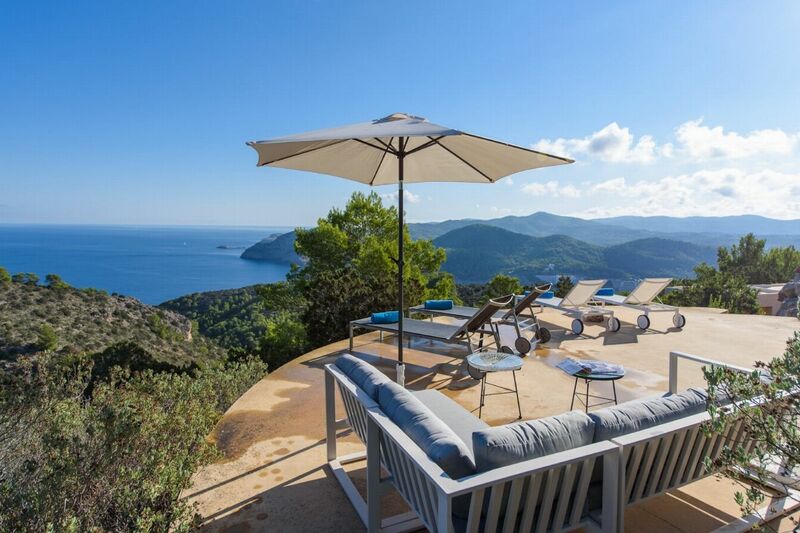 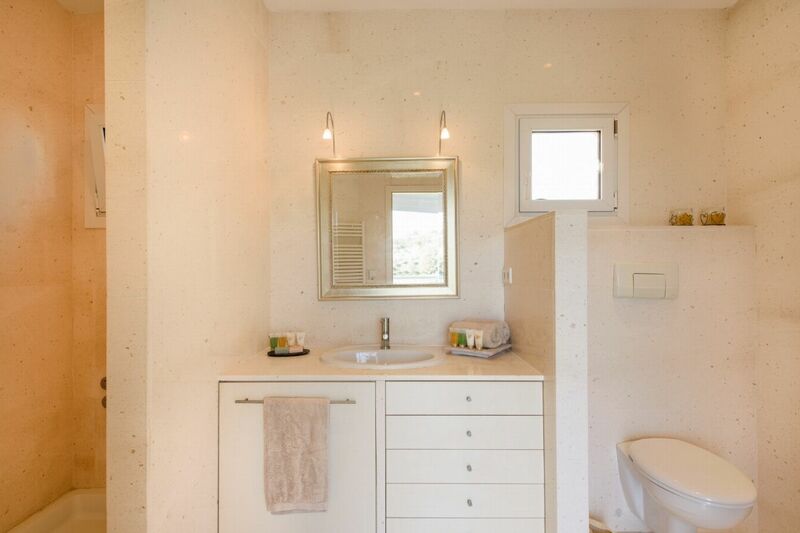 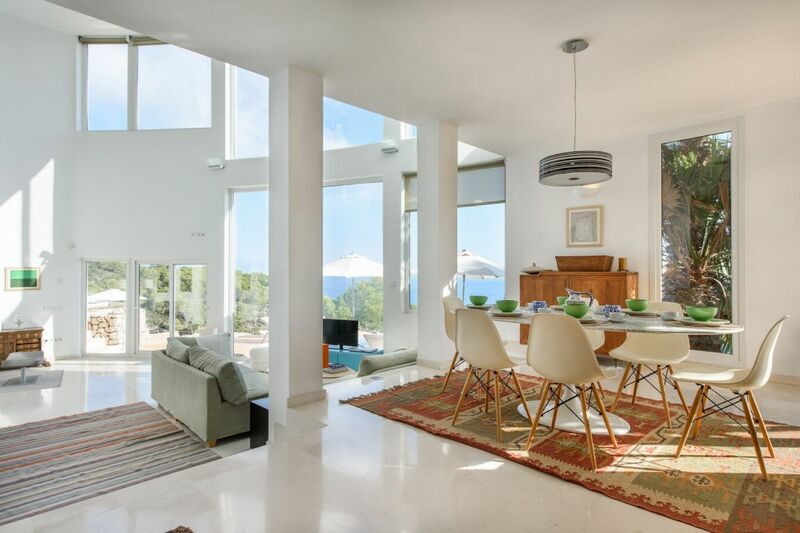 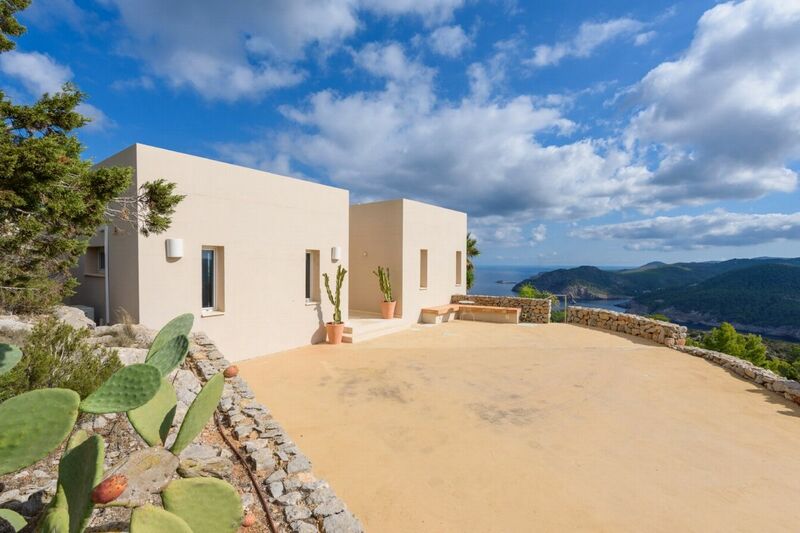 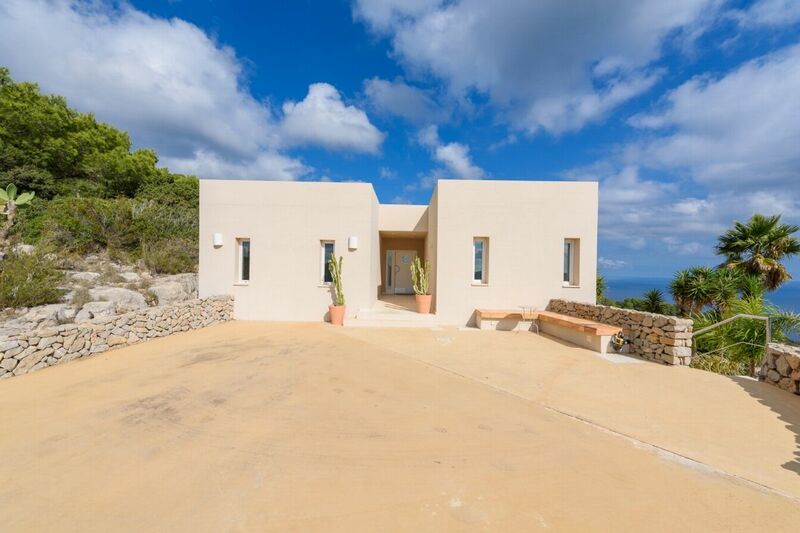 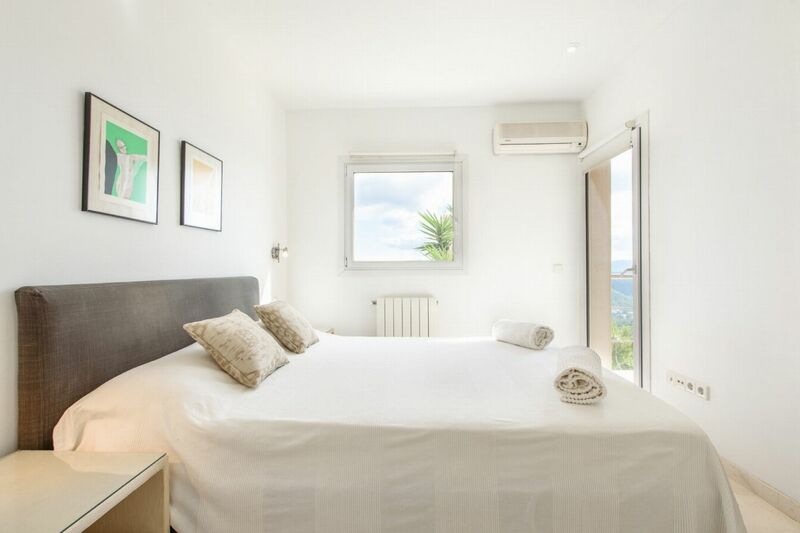 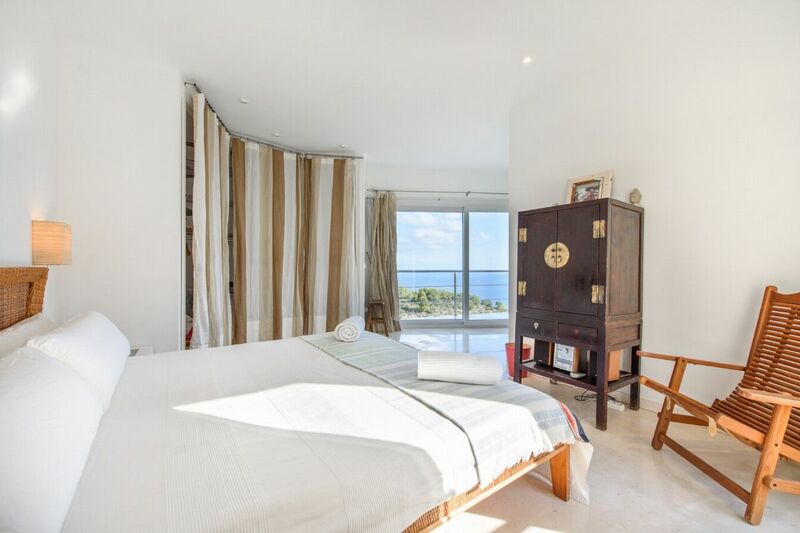 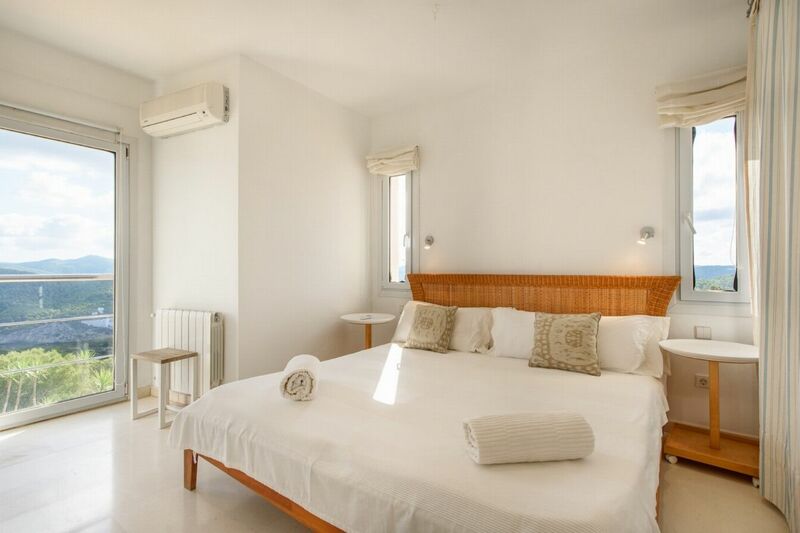 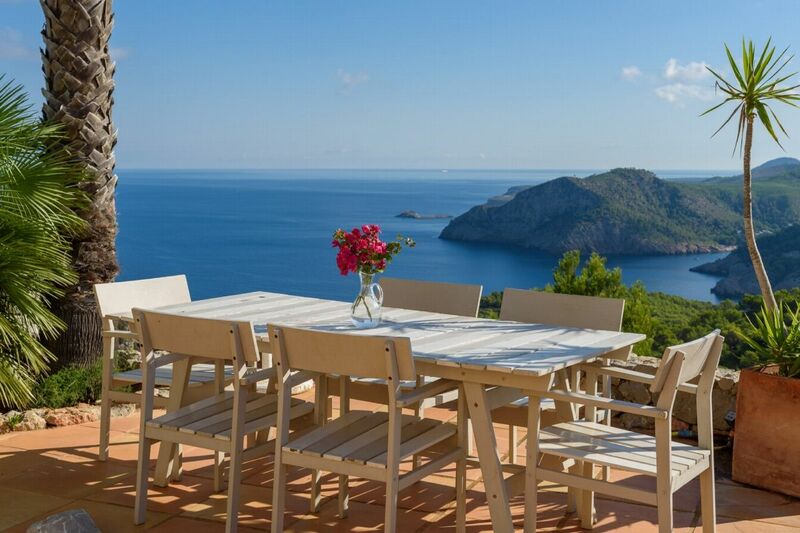 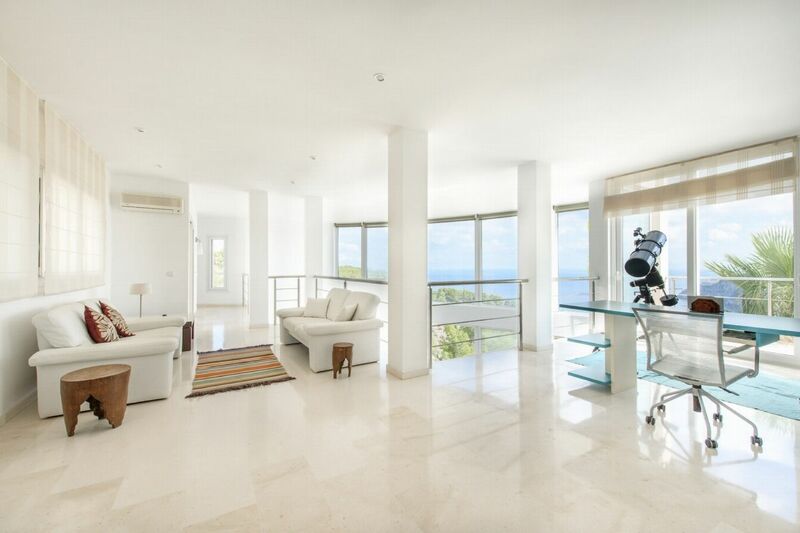 It is the ideal property for families or groups looking to experience all the excitement of Ibiza, while enjoying the sea and the countryside of the island, away from the crowd in one of the very few natural protected areas in the island. 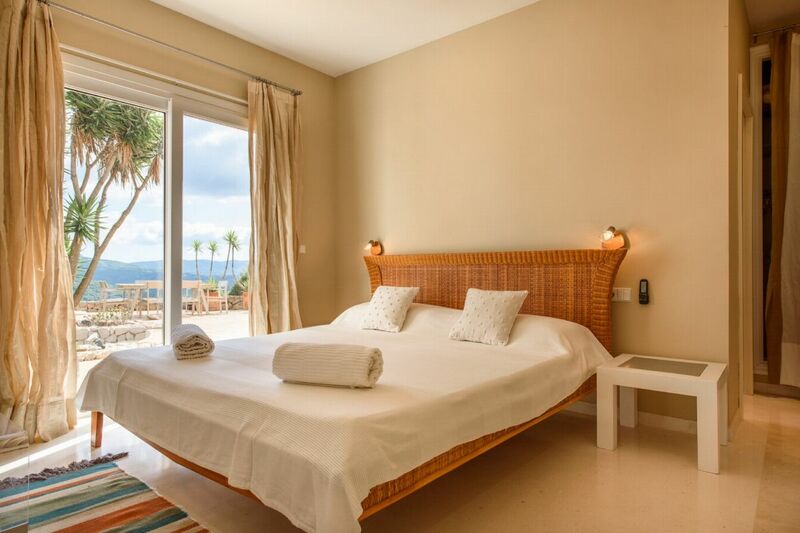 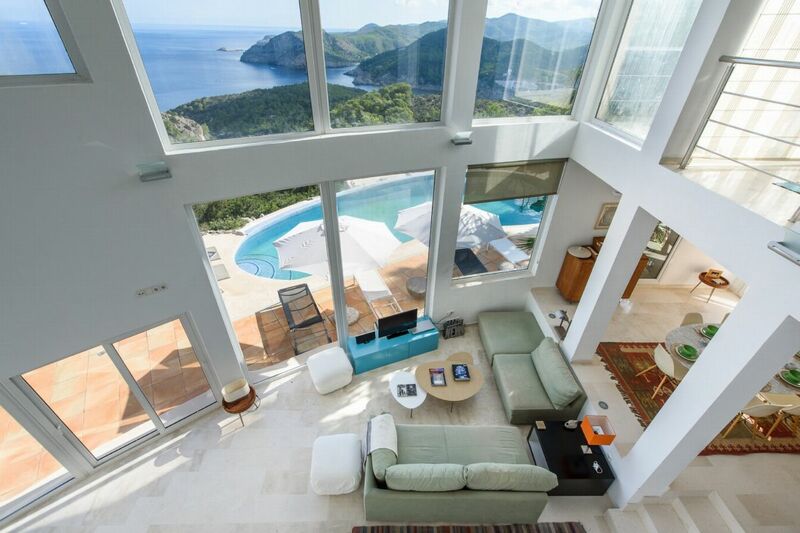 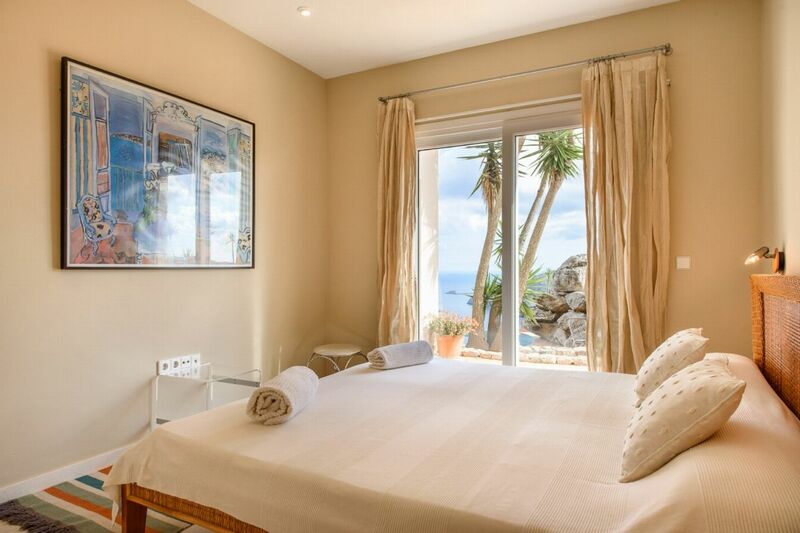 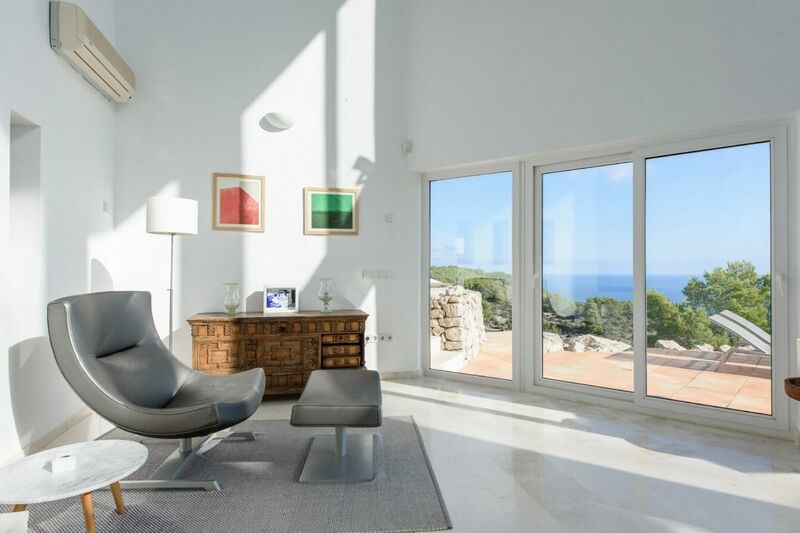 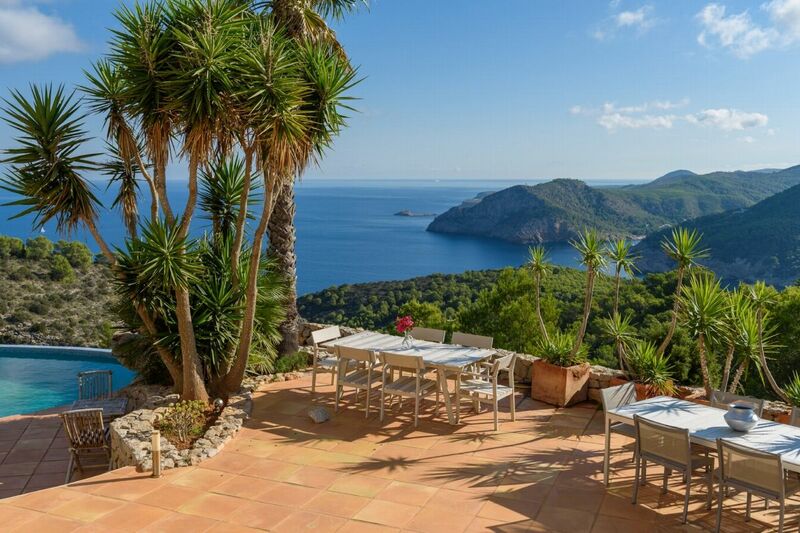 It is placed in an extremely peaceful area with astonishing views to Cala Benirras, a legendary location well known for its sunsets and access is via electronic gates. 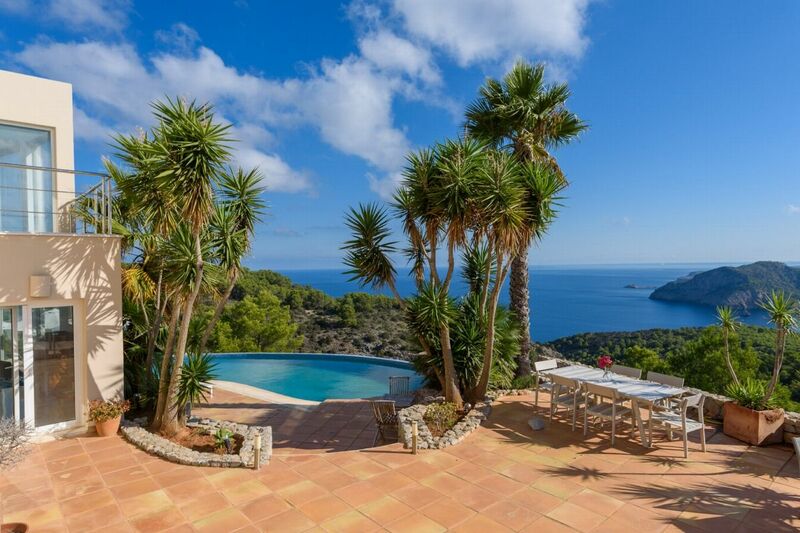 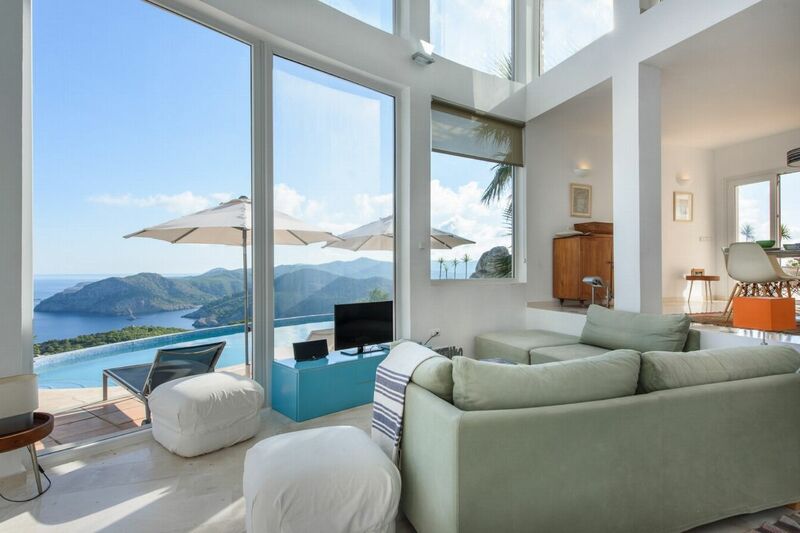 Outside the house there is a swimming pool that has spectacular views and and the sunset views over the bay are simply breathtaking. 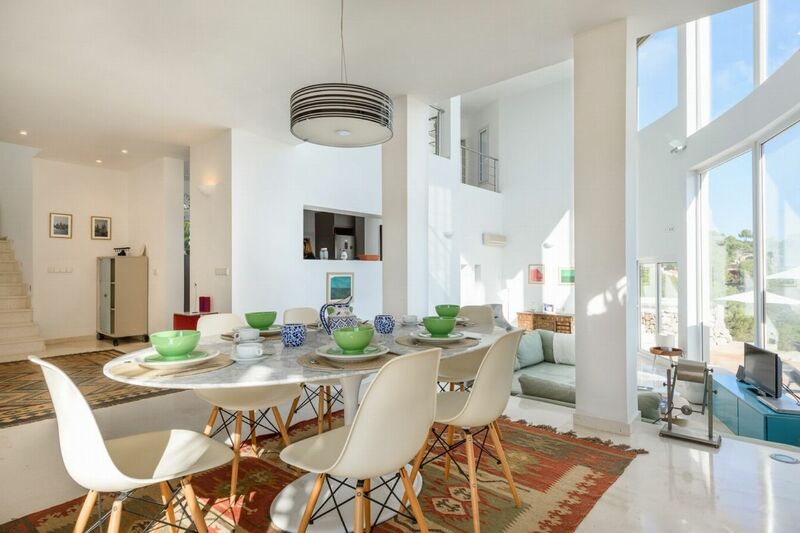 The garden has two separate dining areas and a solarium. 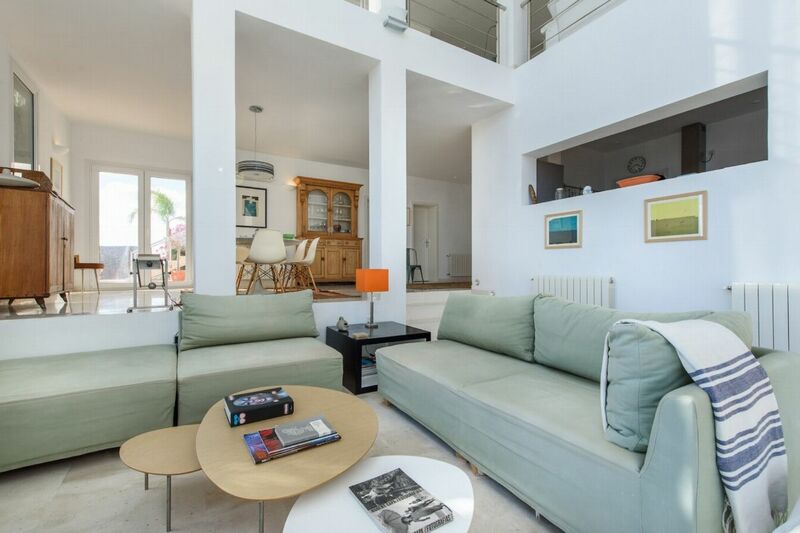 LIVING AREAS Inside has been beautifully furnished, there is a spacious sitting room and a separate dining room on the ground floor with access to the garden and a fully equipped modern vitro-ceramic kitchen, with microwave oven and dish washer. 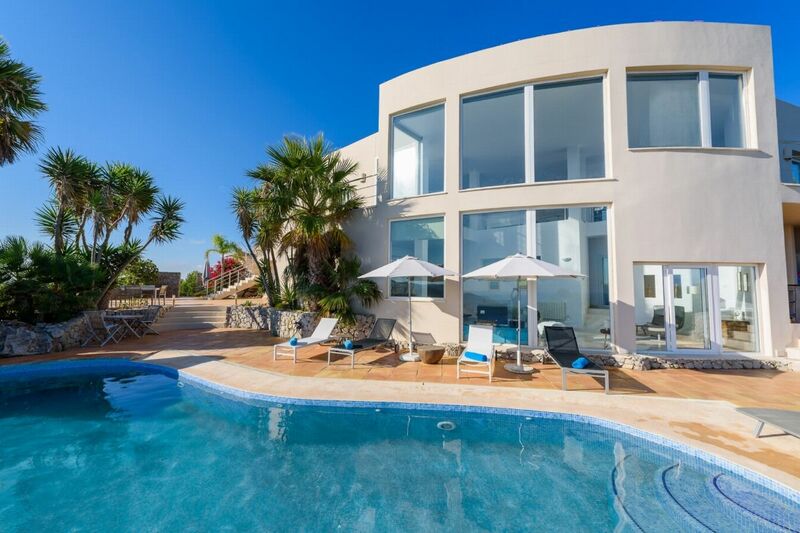 There is a small library/office with working facilities on the upper floor, with patios and terraces looking out to the sea. 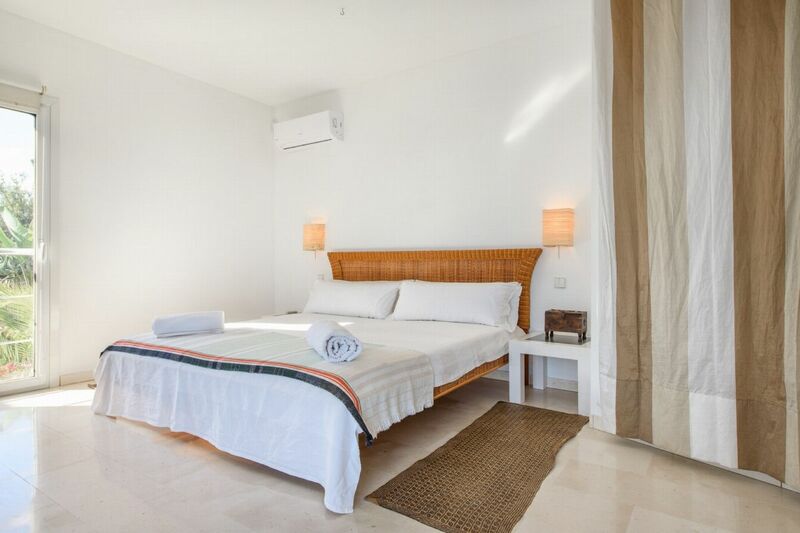 Facilities include central heating and separate air conditioning in every room, satellite TV, two TV sets, two CD stereos (one on each floor), DVD player and WI-FI internet connection. 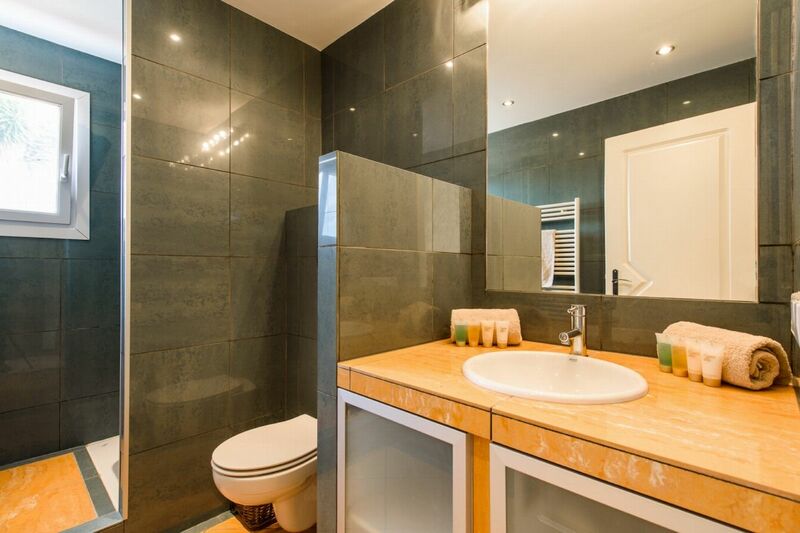 It has a separate washing room with a washing machine in the boiler room. 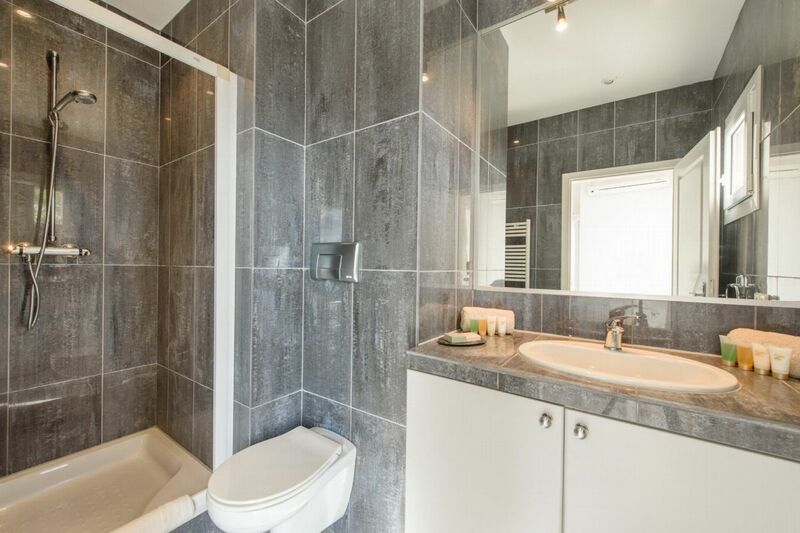 Double bedroom with en-suite bathroom and under floor heating. 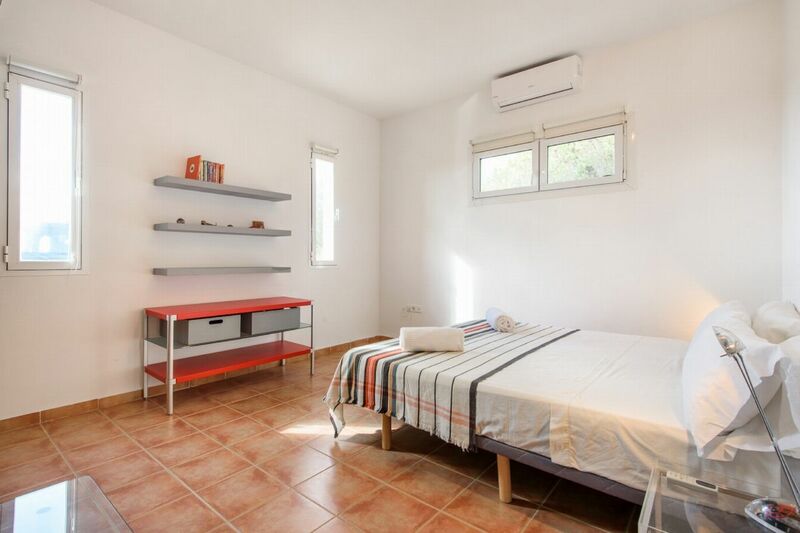 With twin beds that can be made into bunk beds.